My family and I celebrated 'Merdeka' day at the #JomMalaysia Carnival in front of Sunway Resorts Hotel & Spa on 31 August 2018. 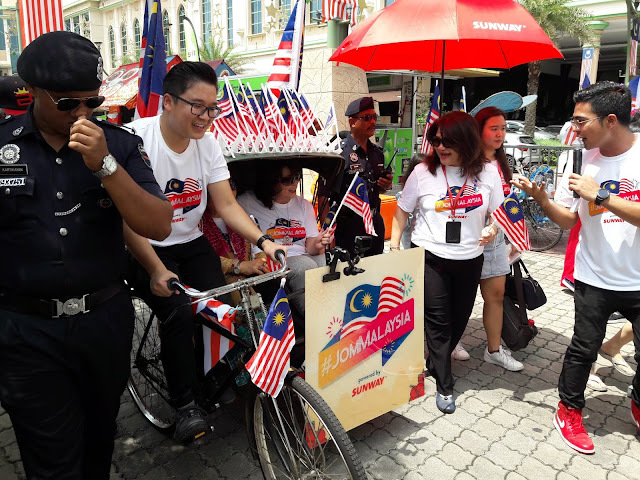 This carnival with the national theme 'Sayangi Malaysiaku' aims to bring Malaysians from all walks of life to spend the National Day together as one community. 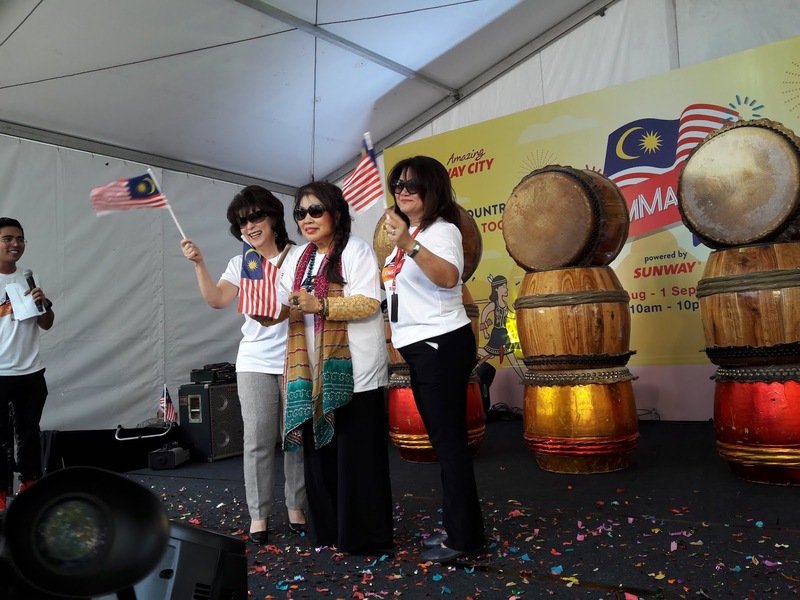 The carnival was officially launched by Sunway EXCO Member, Puan Sri Datin Seri (Dr) Susan Cheah, along with Sunway Group Brand Marketing and Communications Senior General Manager, Jane Poh. 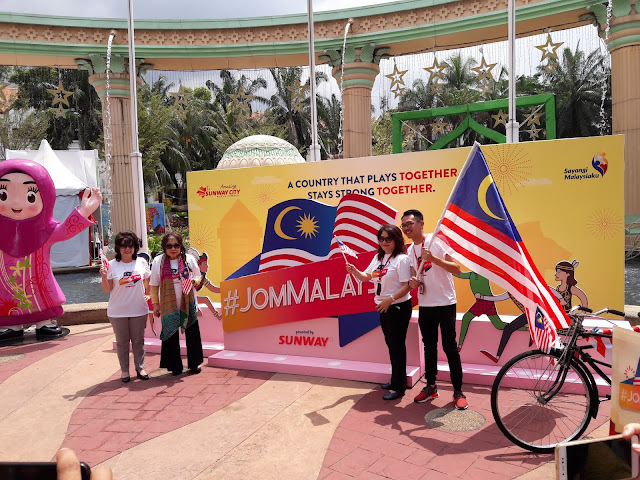 Speaking at the launch, Jane Poh said, "A community that plays together, stays together, and we hope that the #JomMalaysia Carnival will deliver a sense of history, encourage the fostering of new friendships and strengthen family bonds to make us an even stronger nation." The event kicked off with an impressive drum performance by students from the Sunway University. That's me having some fun riding one of the beautifully decorated trishaws. 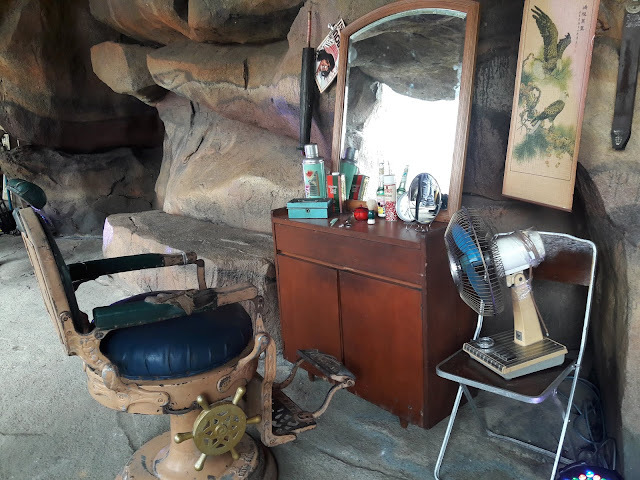 My family and I enjoyed exploring the "Evolution Tunnel" which was built within an existing rock tunnel. 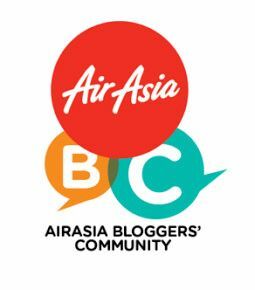 Seeing all the antiques displayed reminded me of my younger times. 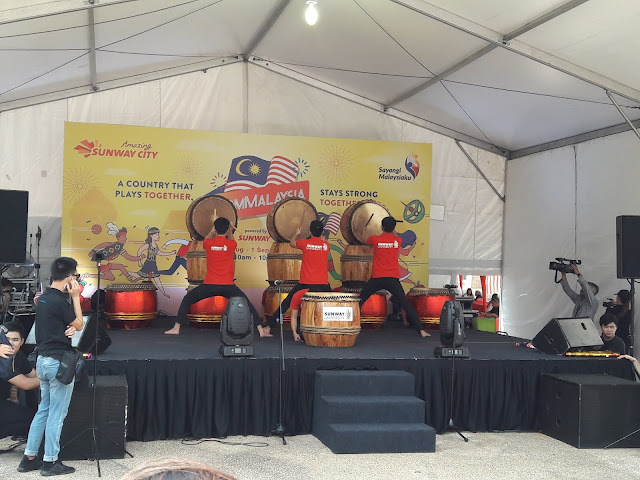 Here, the crowd marvelled at the unique historical timeline which showcased Malaysia's rich historical heritage alongside Sunway's transformation from its early mining days into a multinational conglomerate, in tandem with Malaysia's progress as a nation. 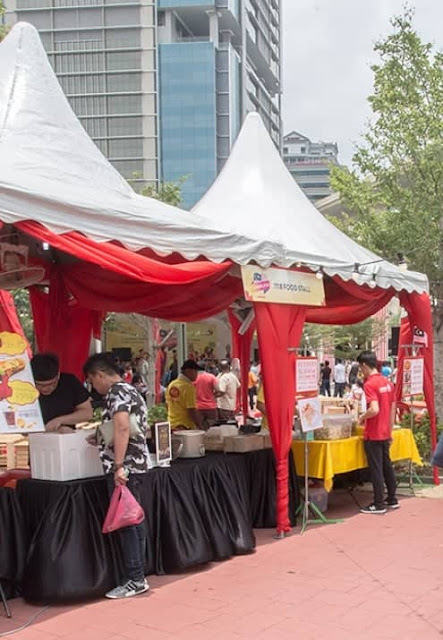 Flavours of Malaysia had many stalls where visitors can enjoy local delights such as nasi kerabu, satay, rojak, cendol, laksa, otak-otak and lots more delicious food. 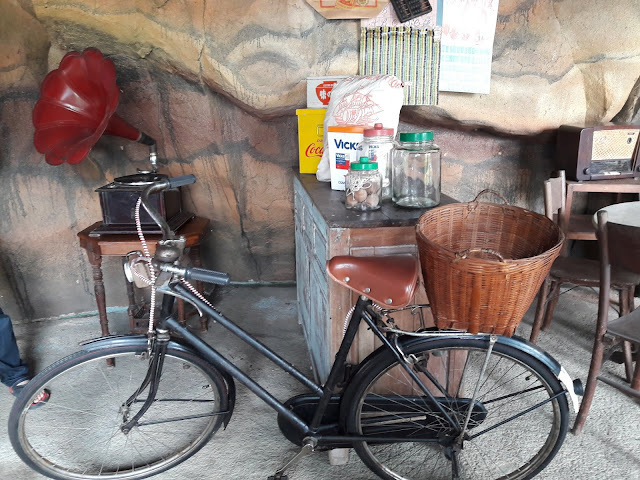 There were also "Childhood Food Store" where visitors bought their favorite snacks such as White Rabbit Candy, Haw Flakes, Apollo Chocolate Wafers, Roti Ice Cream and Eye Glass Candy. 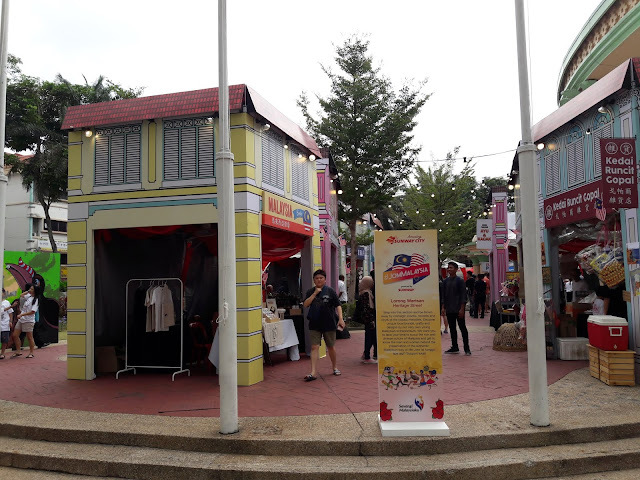 Arts and crafts, clothing and toys were sold at the Heritage Street section. 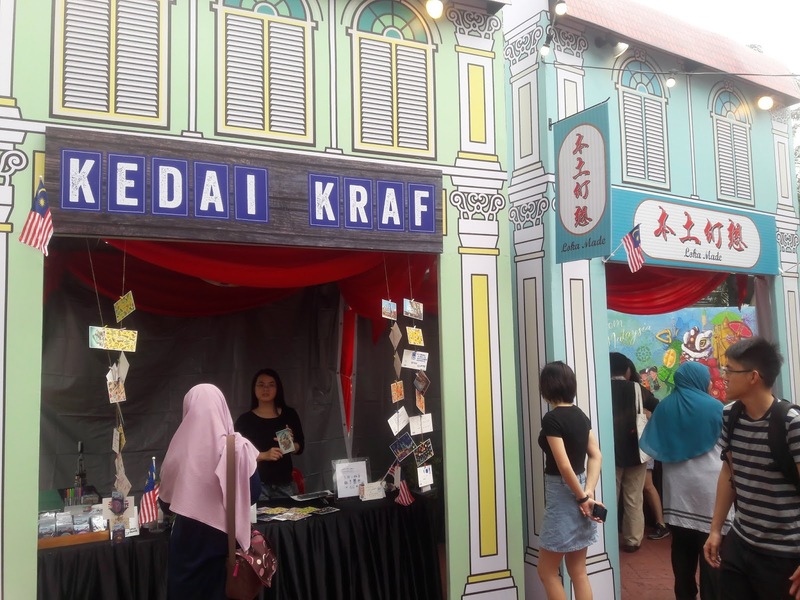 Visitors had fun playing old games such as batu seremban, congkak, sepak bulu ayam and eraser battle at the Tradisional Malaysian Games section. 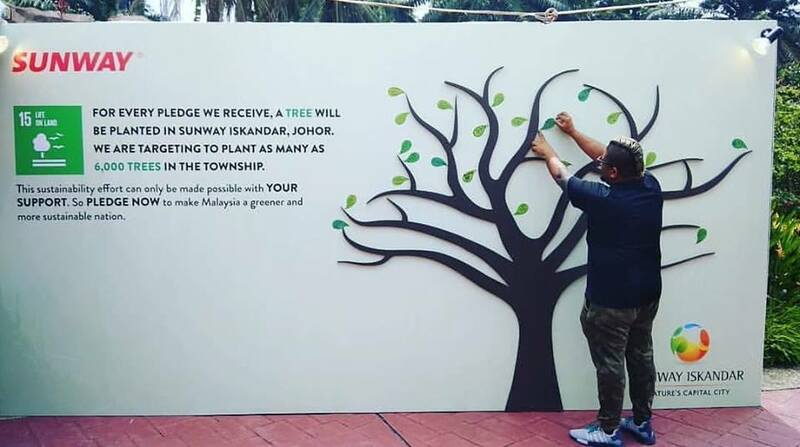 The event also saw Malaysians pledging to create a greener and more sustainable Malaysia, signing names on leaved which would result in a tree sapling being planted in Sunway Iskandar, Johor. Sunway is targeting to obtain 6,000 pledges which will translate to 6,000 trees being planted. 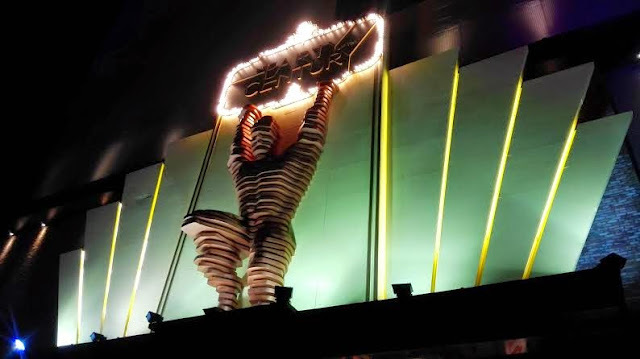 This carnival brought back lots of childhood memories for me and my family enjoyed our 'Merdeka' celebration at the Sunway City Carnival. My children also enjoyed seeing all the antiques which they have never seen before. 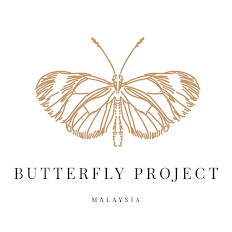 We hope to join more events like this in the future because it is good to encourage love among Malaysian to make us a stronger nation. 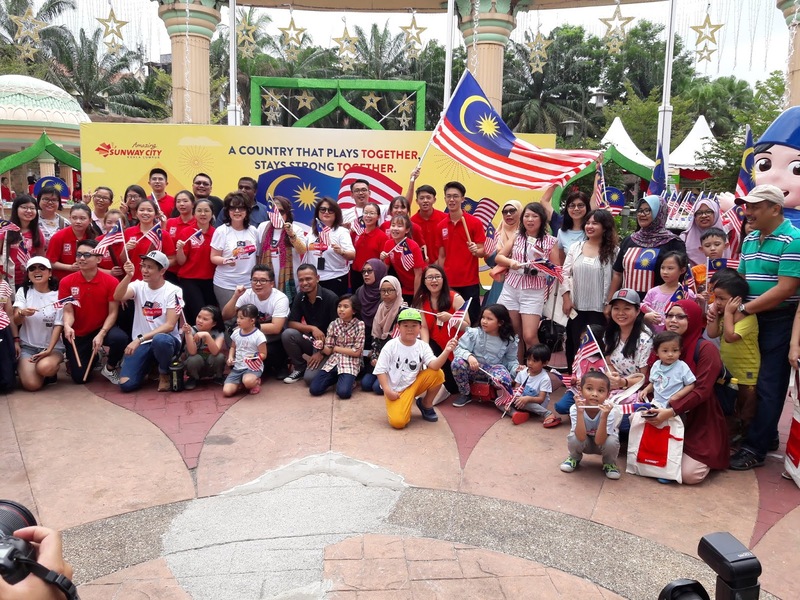 It was a nice event on Merdeka day. 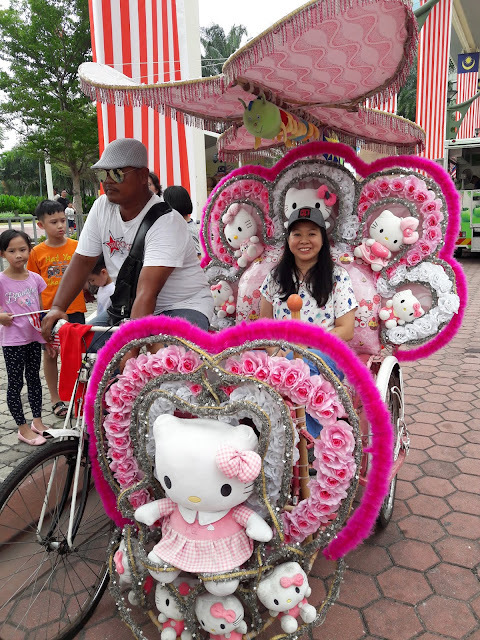 My kids had a lot of fun. Sorry to hear your kids were sick.